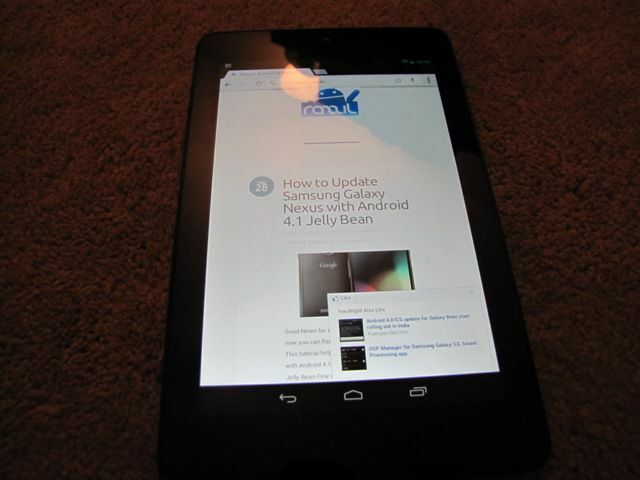 As we all know Google Nexus 7 launched in India at a price of Rs. 19,990 at Croma store and various other retailers. Now Asus India sales director confirmed that Nexus 7 not yet available in India. Nexus 7 has 1.3 GHz Tegra 3 processor, 1 GB of RAM, 1.2 MP front-facing camera, 7-inch IPS display with 1280 x 800 resolution and it runs on Android 4.1 Jelly Bean. Nexus 7 comes with two storage option 8 GB & 16 GB of storage. I guess it’s good news as now we can say that Asus will Officially launch the tablet in lower price.